Need an affordable replacement for your worn-out table hinges? 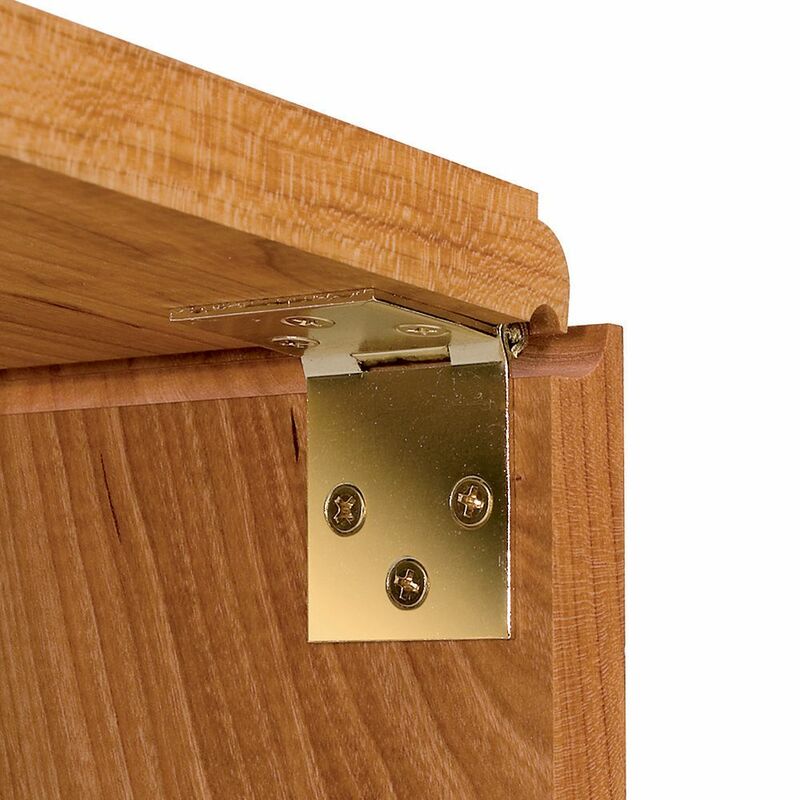 These brass-plated Drop Leaf Hinges for Shaped Edges provide an elegant appearance and smooth up-and-down action for table leaves that incorporate a rule joint. 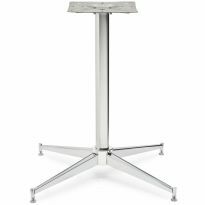 Simply install under your table top for easy drop-down action on your table leaves when opening and proper alignment when closed. 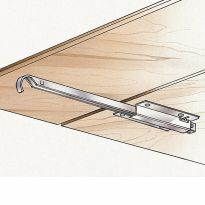 (Remember that in rule-joint applications, a channel is required in the underside of the table to accept the knuckle of the hinge. Fixed-pin design. Note: Always install the longer half of the hinge on the table leaf. Used for a drop leaf table with rule joints. Worked very well and installed easily. A bit stiff, hopefully will improve with age. They work well when mortise & knuckle joint is done correctly. Must orientate hinge correctly. 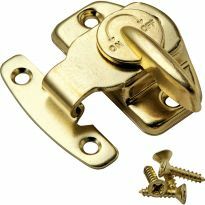 Great hinges I have used these before for end tables & night stands with drop leafs. High Quality for the money. Will buy again. Solid, good looking hinges perform as they're supposed to. Not the case with the supplied screws, which break off with only modest torque applied. I used my own same length brass screws and had no trouble after five of the supplied screws broke when fastened down. Fortunately the screws broke in practice joints, not the hardwood walnut drop leaf project. 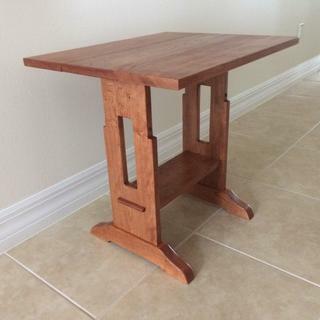 Perfect for my Premium Cherry Drop Leaf Table build! Great product, high quality and design. 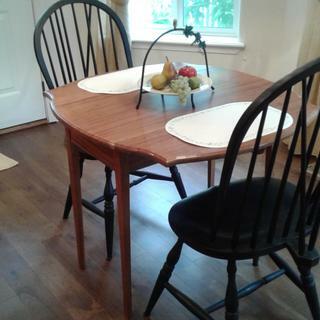 This was my first drop leaf table and the hinges worked great. 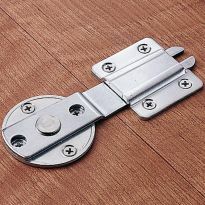 The picture of it's use was helpful in placing the hinge. The drop leaf hinges used for this project were definitely worth the price. They are well made, consistent in size, and without any play. Instructions were easy to follow and they work great. Beautiful finish. They do the job. The hinges worked out great. It took a while to figure out the rule joint. Very satisfied with the price. These hinges did a great job for my 100 year old drop leaf table. hinges & cabinet top fastners worked OK. Would recommend to others. 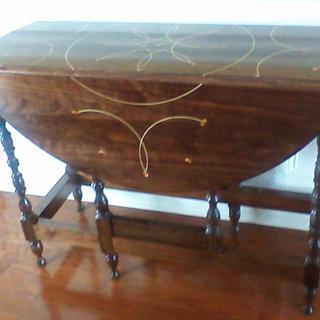 I was making a handkerchief table from plans adapted from an antique, and wanted brass hinges for the drop leaf. 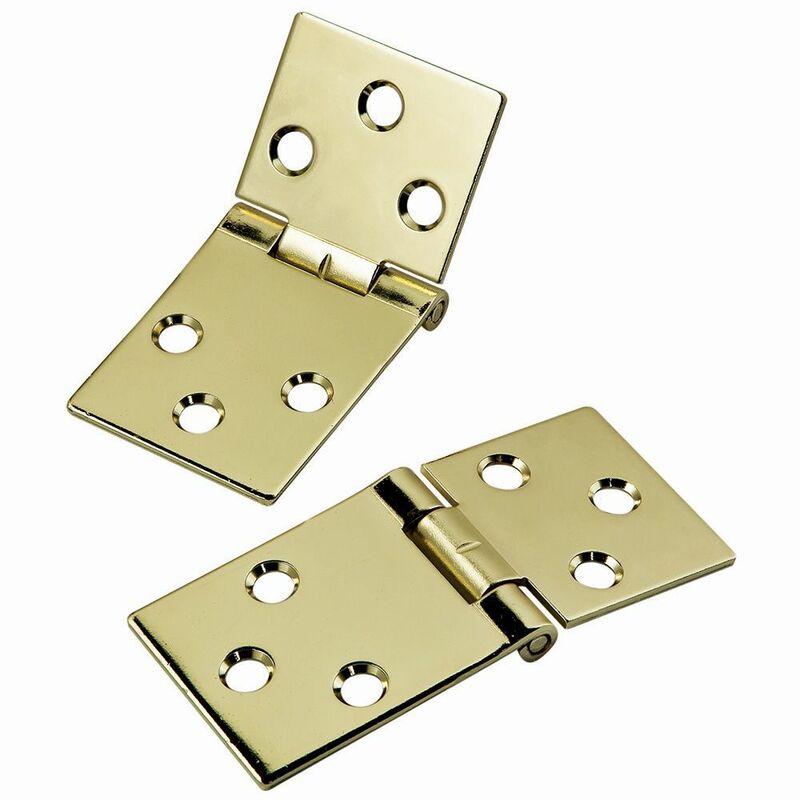 These brass plated hinges are the perfect size, are very high quality and beautiful as well. Substantial and much prettier than most of the similar hinges that I found locally. Both where dead on, that's important for a drop leaf hinge. If one is out your in trouble. These aligned perfectly. These hinges sturdy and well made. I am happy with their quality. However, be sure to read and understand the installation instructions thoroughly before setting the hinges. I have no pictures to show just yet as I have a long way to go to complete the table that I am building. I think the hinges will work very well and last a life time. Great hinges. I like the finish. Work well. Would definately use them again if the need arose. 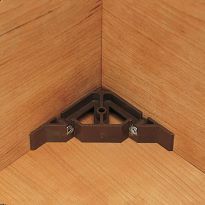 In order for a rule joint hinge to be correctly seated, the underside (exposed side) must be flat. That is, the hinge barrel must be all on one side of the hinge. 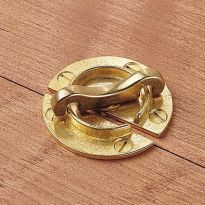 You will need to put these hinges in a metalworking vise, with the barrel flush at the top of the vise and the leaf in the vise jaws, and tap the barrel to one side using a hammer and a block of wood. Do this on both leaves until the hinge sits perfectly flat on a flat surface. They were fine but the counter sunk holes were on the wrong side and they would have been better if the profile had allowed them to be placed flat. I had to carve out a groove for the barrel of the hinge. 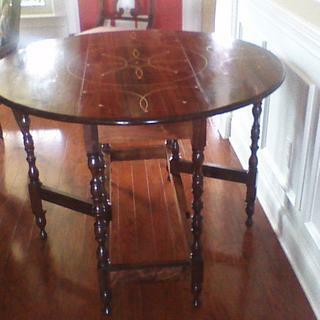 That said, I prevailed and the table is nice. The hinges are not perfectly flat in the "open" position. 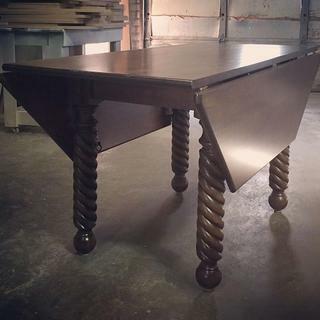 The bottom side of the drop-leaf table is more difficult to finish with the hinge in place. Granted that the bottom side of table tops do not require mirror finish, they do require smoothing and oil treatment. 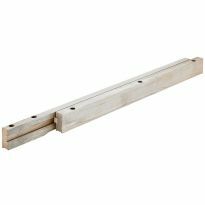 I have used this item previously on a child sized drop leaf table. Was pleased with results. 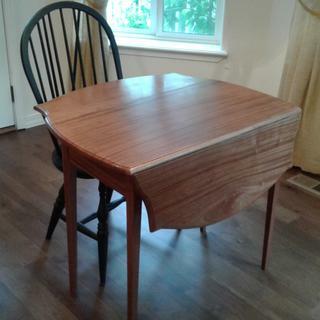 Building drop leaf table. Seems like decent hinges. My carpenter who is building my kitchen island asked me to order these. I have used your hinges on past projects with good results. I am modifying an old drop leaf table and will use these to replace the old parts. I want my work to be reflected by the quality of the hardware. 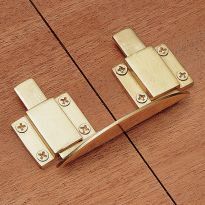 These hinges are classy! 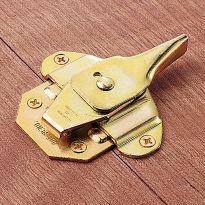 The only hinge that would serve my purpose, size wise. These are similar to the ones that were in the console, 1 on each side..
What can I say? High quality look great if you lay on the ground and look up when the table leafs are openð??? Fit the project I am working on. Needed for project, could not locate locally. Have used these before for drop leaf end tables and night stands. Will be using these for sewing table drop leafs. To replace the rusted ones on an old table. could not find these anywhere were the choices are brass or dichromate finish. For a drop leaf table I am making. Two of my Industrial Arts students' projects specifically call for drop leaf hinges. I wish this product was available in an antique brass finish. Nicer than the steel versions I have seen. Reasonable price. Couldn't find these locally or anywhere else ! Thank You ! Could not find in local hardware stores. Have used these before and pleased with the durability of the finish. The only choice for a drop leaf table. I made a jig for installation and bought a set for another table. I am building a drop leaf table. I built one several years ago. If I remember correctly I bought the hardware from Rockler. And I cannot find them locally. I have 2 sets of this, but I need 3 sets. Thank you for having what I needed on hand. do these hinges require a mortise or surface mounted ? BEST ANSWER: I mortised mine, but you can surface mount as well. If you're building a drop leaf table these MUST be mortised in. The hinges need to be mortised. The shorter side goes to the table with th longer side to the leaf. There needs to be another mortise(deep enough for the barrel of the hinge 1/4" from the edge of the table-on the table side. Hope this helps. These are designed for rule joints on tables. In order to work properly for that they need to be mortised. I mortise the hinges so that they were flush on the backside of leaf. Thanks, James! Mortise only the leaf or the fixed part of the table as well? Both the table and leaf side, so they would be flush to each other. Also I used a Drop Leaf Rule Joint between the two. 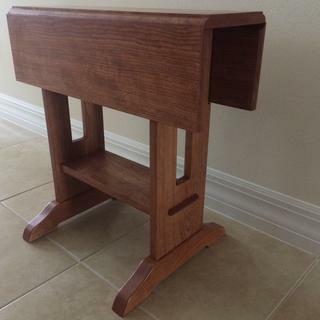 There are some good articles online that show how to make this type of joint.